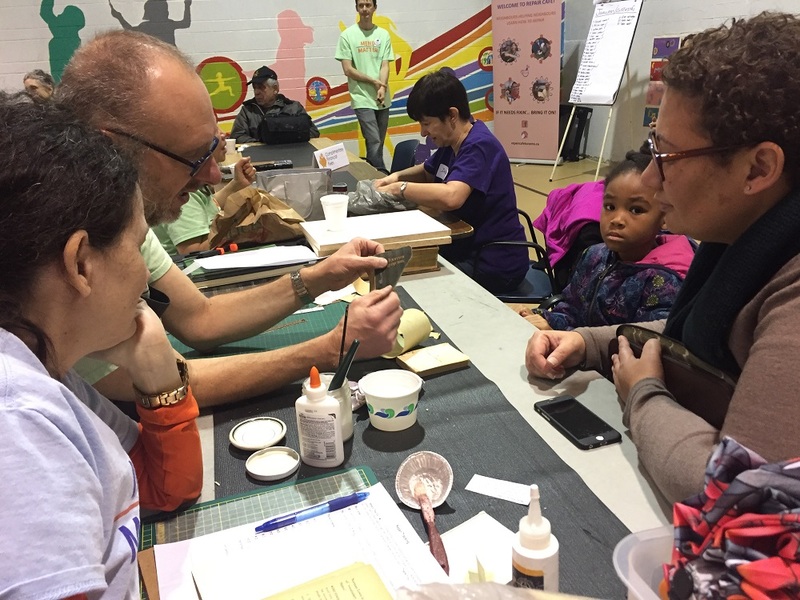 Saturday February 11 was our 42nd monthly event. We returned to one of our favourite locations, the Central Neighbourhood House (CNH) in Cabbagetown. 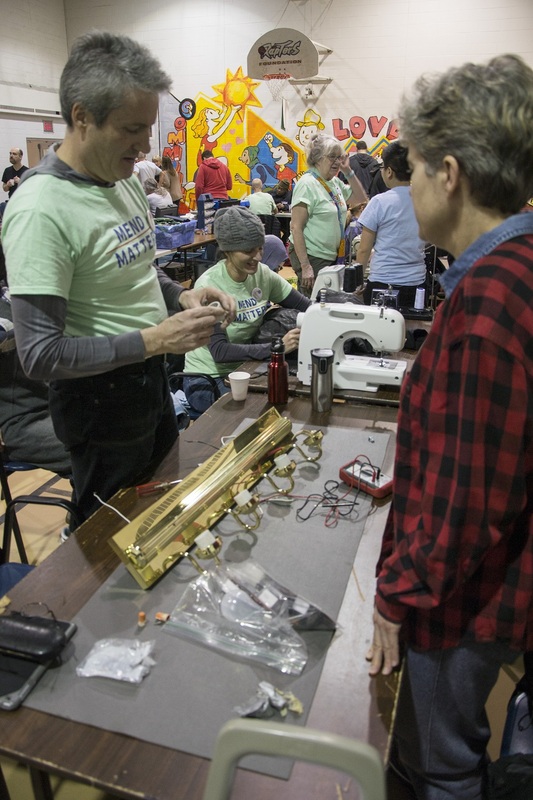 With the assistance of our host, the CNH staff and volunteers, we had Registration and our diverse repair stations set up in the gym and the refreshment area in the main lobby outside the gym. As usual, soon after the Café opened, you could feel the energy. 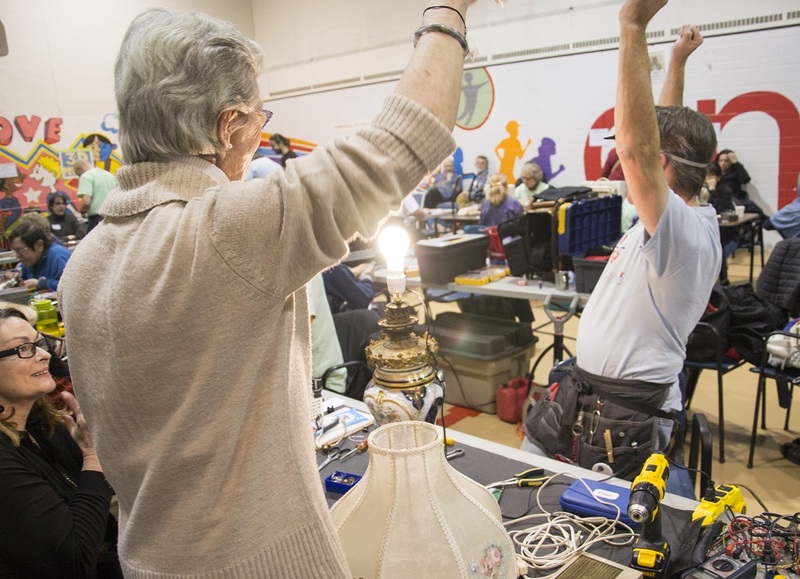 Among the over 100 items fixed were many with sentimental value to their owners. In the video below, Susan tells the story of a very special gift. 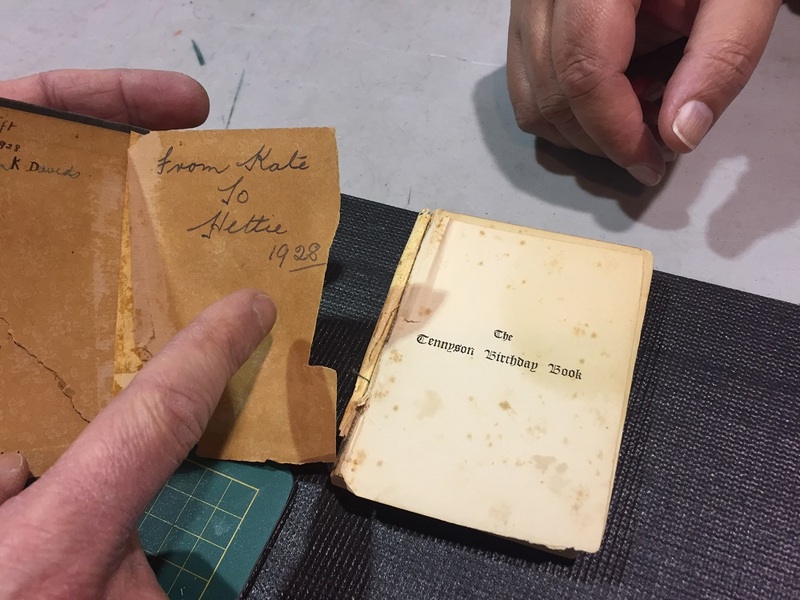 The little poem book below brought in by another visitor came with an inscription made in 1928. Our book fixers, Andy and Faith, explain to its owner how they are going to repair the torn cover. 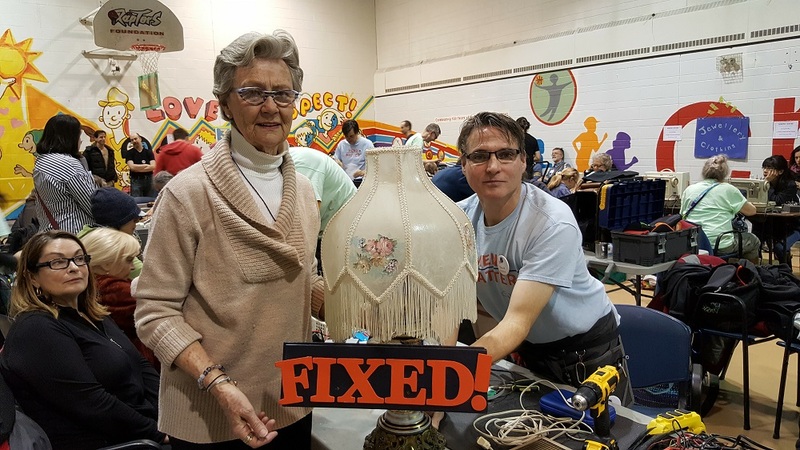 This beautiful lamp in the photo below was brought back to life after some work. Both the fixer Tim and the visitor were thrilled when it lit up once again. 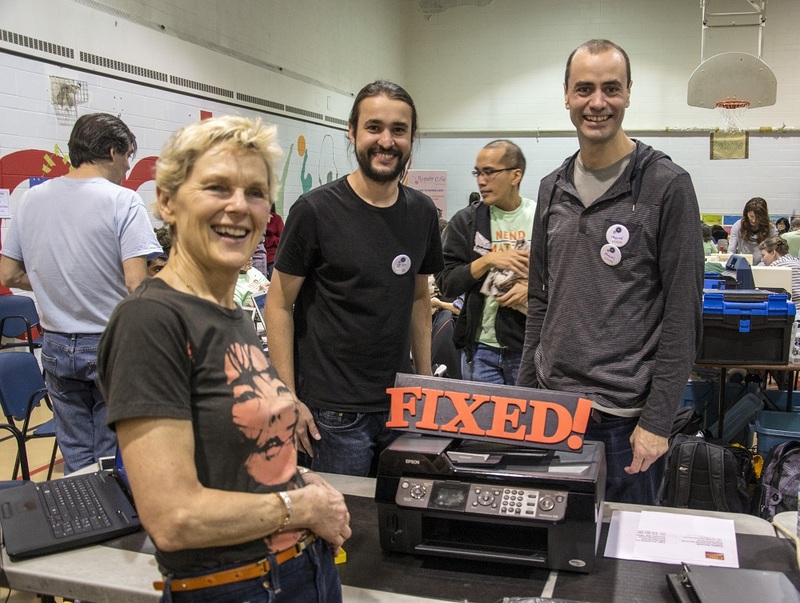 Our fixers, Joao Paulo and Marcel, brought an Epson printer back to life too. We are happy to see more and more families at our events. Nadine, Phil and their son Aaron support us as general volunteers. This was their second time volunteering with us. 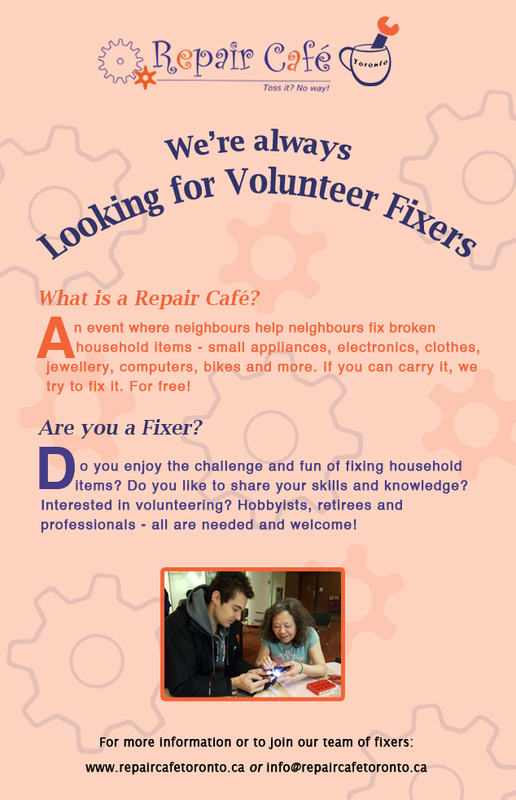 In the video below, Nadine talks about why they chose to volunteer with the Repair Café. Some fixers have been participating together with their family members. In the photo below, husband and wife, Ian and Yazmin, work side by side, Ian helping his visitor fix a light with candles, while Yazmin works on a shirt. Families with young children are also coming. 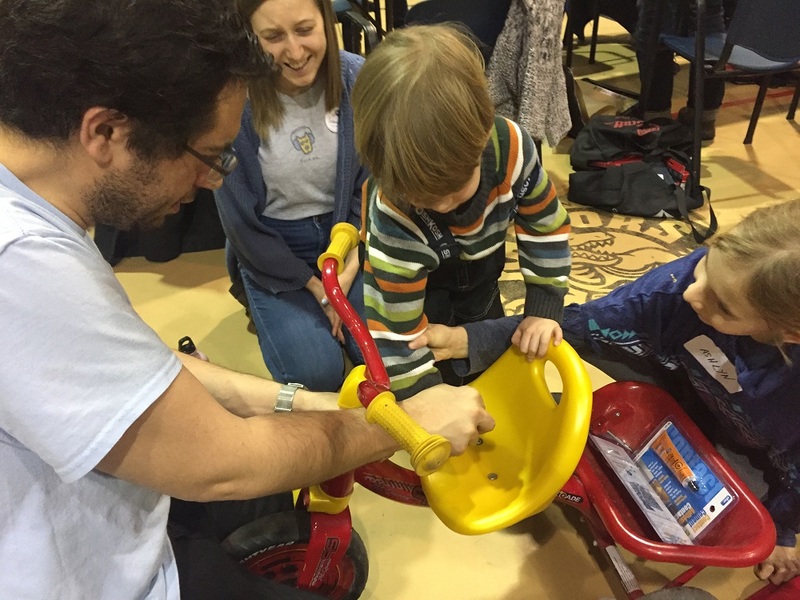 In the photo below, our fixer Dan helps a boy repair his bike while the boy’s sister gives a hand. This was another very successful café. 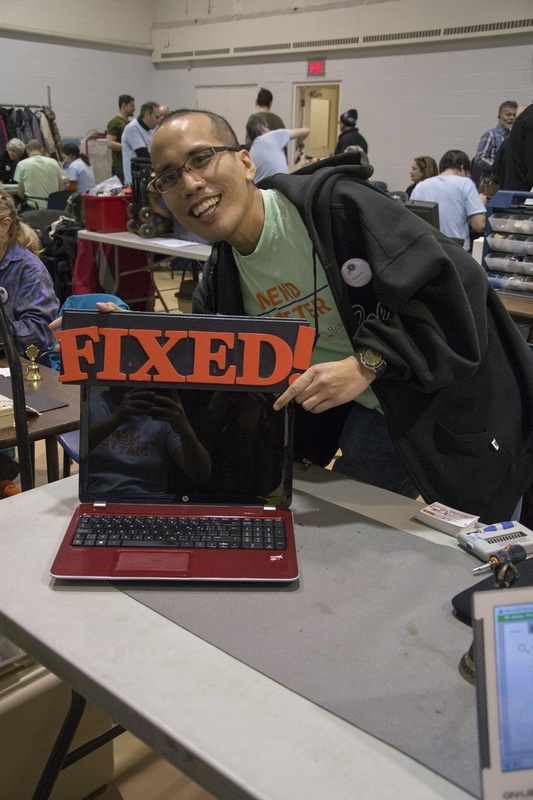 A big thank you to all the wonderful fixers and volunteers for your help! Also, a sincere thanks to our host Central Neighbourhood House for your amazing support from planning to set up to promotion. We loved the home-made bean soup that Edwin made! 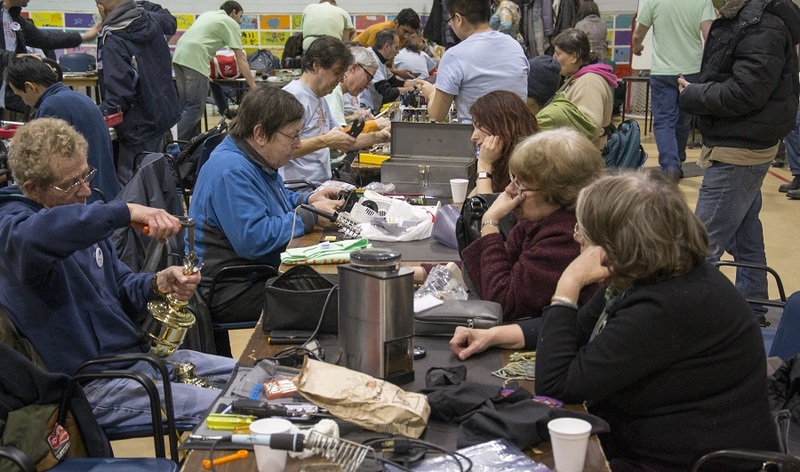 To learn more about volunteering for the Repair Café, you can visit the Volunteer page. Our next Café will be held at Downsview Park on Saturday, March 18. For details about the event, please click here.